A local business in the community of Brandon for 16 years. 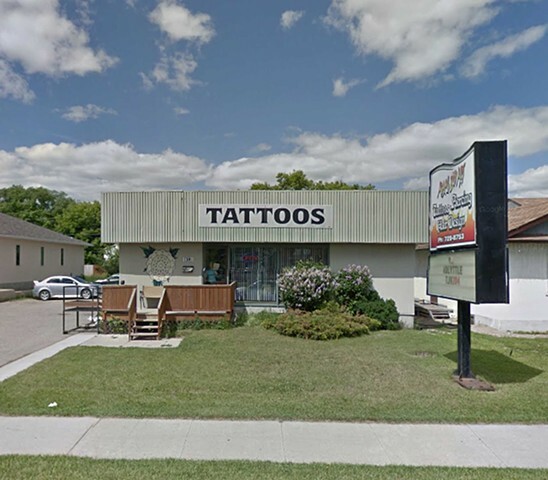 We are located on 612-18th Street in Brandon Manitoba. We offer professional tattooing and piercing, great service and quality workmanship. All of our artists are committed to their art form and look forward to helping you bring your tattoo ideas to life. The most modern methods of sterilization and disinfecting techniques are used, to make sure you experience clean and hygienic surroundings. We offer private rooms and individual service. Appointments are preferred. Always bring picture ID.